WEDNESDAY, Sept. 28, 2016 (HealthDay News) -- Nonsmokers can be exposed to secondhand cigarette smoke without realizing it, and be unaware that they are at increased risk for lung cancer and heart disease, a new study suggests. The discovery highlights the need for a more accurate way to assess secondhand smoke exposure than having patients fill out questionnaires. 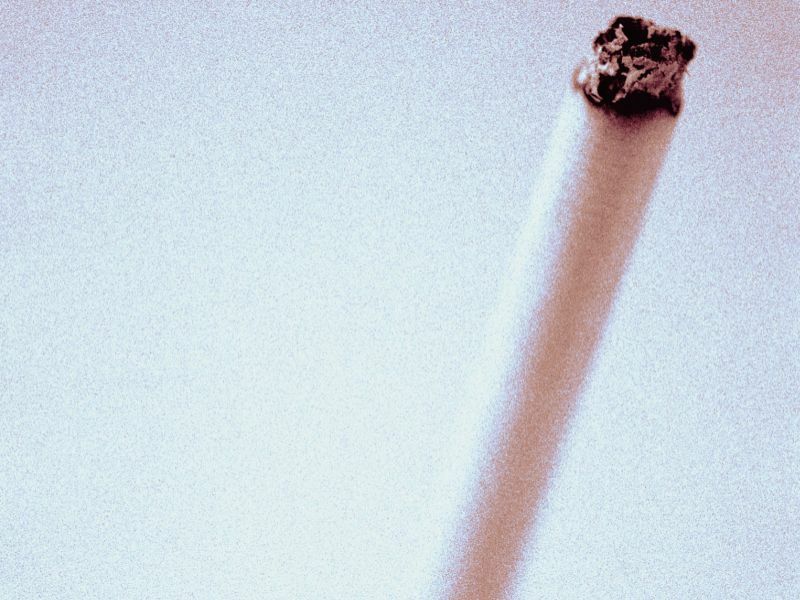 "A crucial finding of this study is that nonsmokers are exposed to secondhand smoke without even realizing it," said lead researcher Dr. Raja Flores. He is chair of thoracic surgery at the Icahn School of Medicine at Mount Sinai in New York City. The researchers used blood levels of cotinine, a byproduct of nicotine, as a marker for secondhand smoke exposure in more than 20,000 nonsmokers. The investigators found a significant increase in years of life lost across all levels of cotinine in the blood. The lowest levels of cotinine were associated with 5.6 years of life lost and the highest levels with 7.5 years of life lost. Increased cotinine levels were associated with lung cancer, all cancers and heart disease, though the study did not prove a cause-and-effect link. "Questionnaires show that responders do not know they were exposed to smoke, but cotinine blood levels are more accurate in determining their exposure and subsequent risk of lung cancer and other smoking-related disease," Flores said in a school news release. Along with pointing to a more accurate way to measure secondhand smoke exposure, the study highlights the need for tighter smoking restrictions and increased preventive screenings for people more likely to have been exposed to secondhand smoke, the study authors said. Dr. Emanuela Taioli is director of the Institute for Translation Epidemiology at Mount Sinai. She said, "Using cotinine level to measure exposure to secondhand smoke has important public health implications, because increasing the scope of smoke-free environments would likely decrease cotinine levels in the general population, and ultimately death." And, Taioli added, "Exposure to secondhand smoke is unequally distributed in the population. Children, non-Hispanic blacks, people living in poverty and those who rent their housing are disproportionally affected and most vulnerable." The findings were published Sept. 26 in the journal Carcinogenesis.